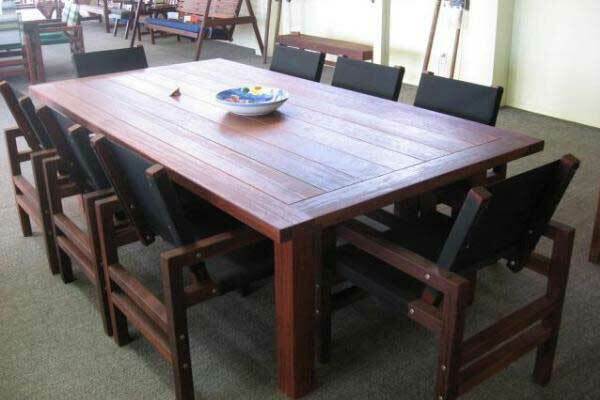 Outdoor tables made from kwila timber are long-lasting and resistant to rot, warping and splitting. 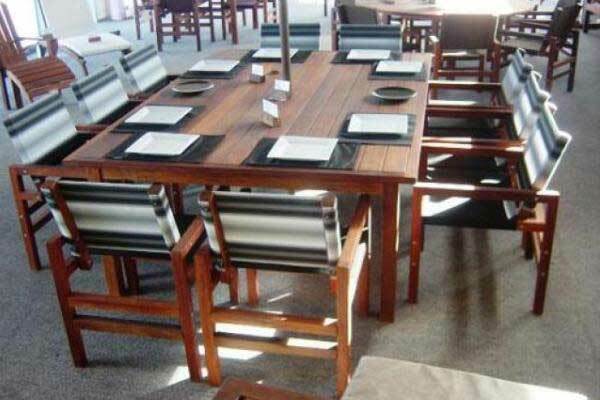 Tables made with mortise-and-tenon joints, marine epoxy glues and stainless steel fastenings will give long and trouble-free service. The oiled finish is easy and economical to maintain, but as kwila needs no protective finish, tables made from this timber can be left to weather to a natural silver grey, and will need only occasional cleaning - we recommend Wet and Forget every second year or so. 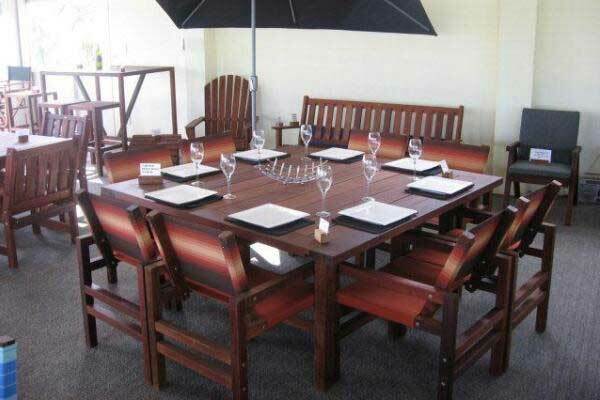 As we make each table individually, it costs no more and takes no longer to have an outdoor table made to your measurements - a little bigger than the examples shown will be a little dearer, a little smaller will be cheaper. 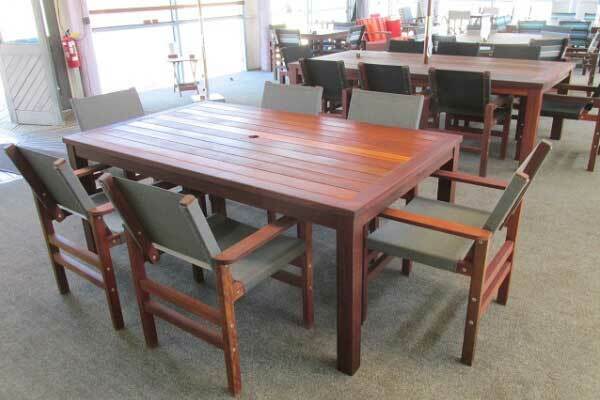 If you already have outdoor chairs, bring one in, and we can make a table to suit their height and width. Take a look at our made-to-order page for some examples. 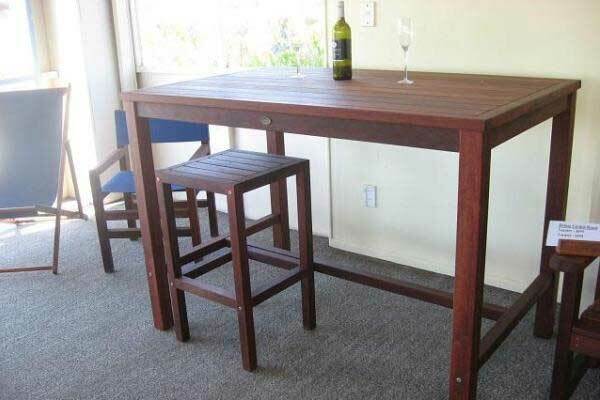 We normally attach legs with mortise-and-tenon joints and marine epoxy glues, but if you have access or transport problems we can make the tables with detachable legs, using stainless steel lag screws. 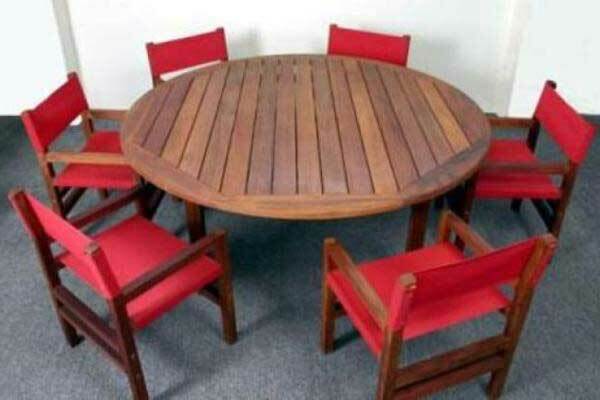 To work out how big a table will fit your space, subtract 1.8 metres from the length of deck, and 1.8 metres from the width. this will give 900mm of space around the table: this is enough for people to be able to push their chairs back behind them when they stand up. You will also have to allow room for people to walk and doors to open. Heavy tables: 90mm square legs, 42mm thick clashings, and 140mm planks. Three metres long by 1.095 metres wide. 2400 x 1550, 90mm legs and 140mm planks. Lazy susan, umbrella and chairs extra. 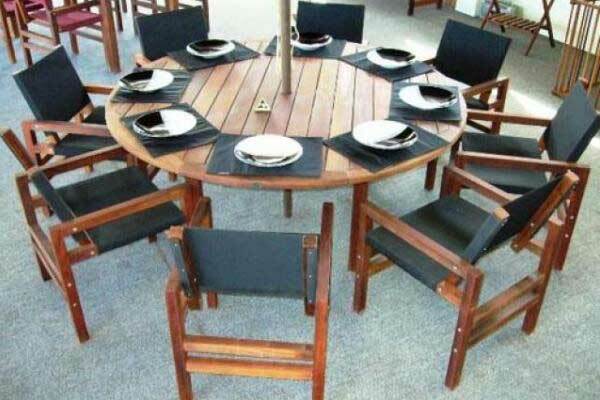 1800mm diameter round table with 32mm clashing and 90mm boards, to seat 8. Chairs extra at $365 each. 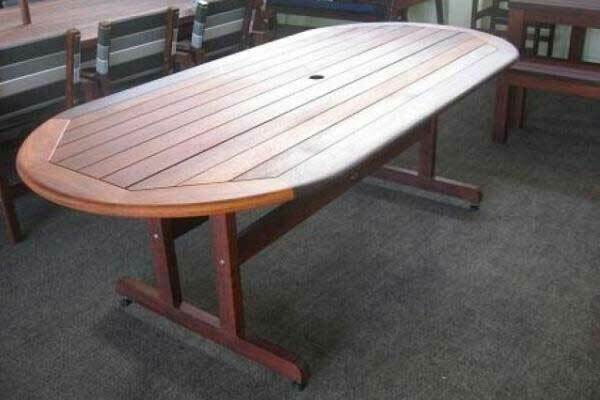 Our most popular table, 2400mm x 1220mm. 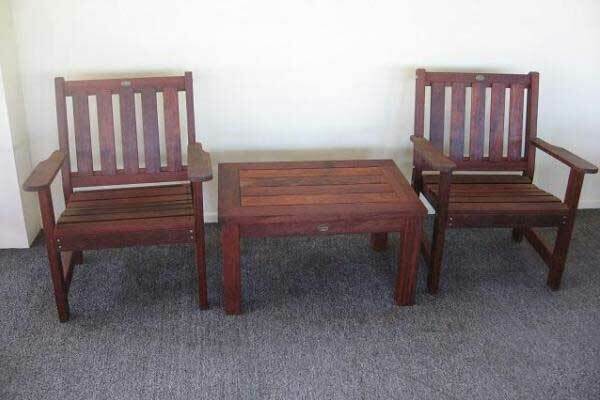 Chairs shown are $365 each. 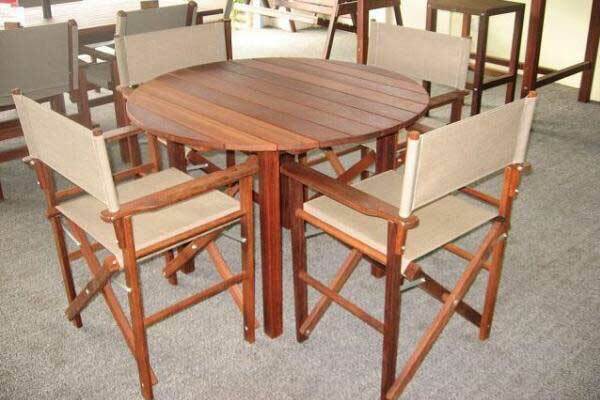 1500mm diameter, chairs are $355 each. Heavy timber clashings and base with wide planks for a substantial look. 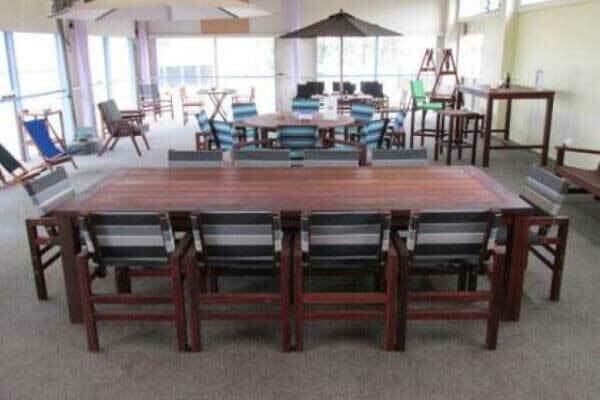 Also available in a 1800 round 8-seater, at $2325. 1200 square. 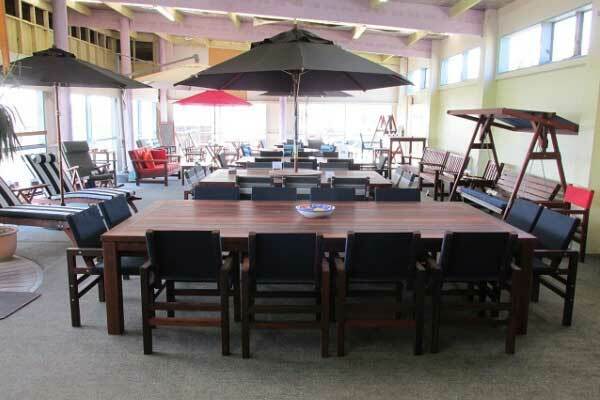 The Clipper chairs shown are $395 each. 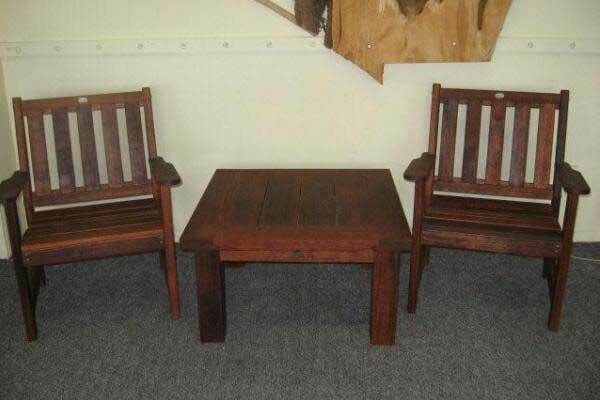 We also do a 920 square table at $775. 750mm square coffee table with 90mm square legs. Shown with Clipper chairs, $395 each. In light timber, easy to move around. Shown here with Clipper chairs, $395 each. 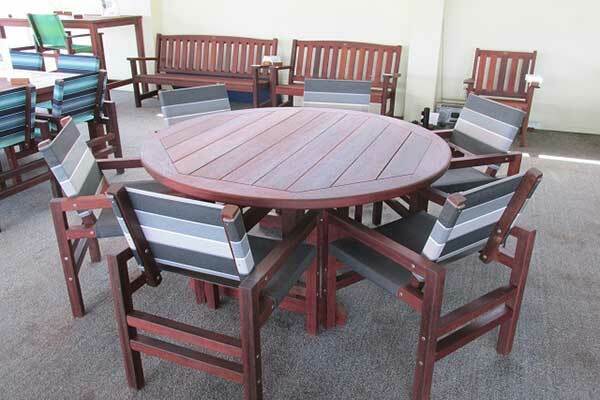 900mm diameter four-seater, shown with folding chairs at $215 each. 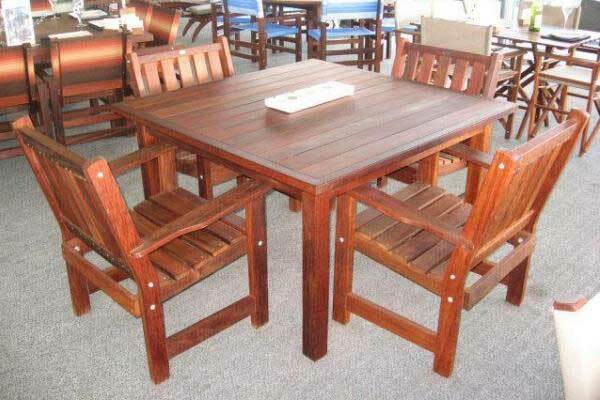 This is an 8-seater, 2200 x 1050, but length can be varied, to order. 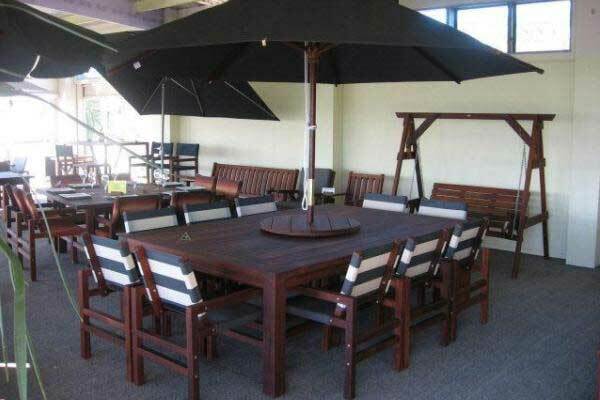 1500mm x 900mm x 1100mm high Perfect for outdoor bbq area, and sitting with drinks on a hot summers day - pub style. Bar stools are $325.